Having a bar in our homes would enhance our esteem and it would be very entertaining for the relatives and the friends. A small bar can be built in any corner of our home, which would otherwise be simply waste or bare. There are many professionals for this particular bar building, but you may have to spend more dollars out of your pocket, if you wish to build a small bar by yourself, then this article would be a useful one to you. This article would come up with some good ideas of utilizing the corners of your home to build a small bar. 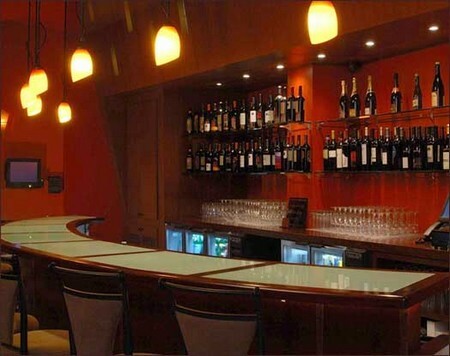 Building a bar is not that easy, you should be well aware of the space available in your home. Start the process by measuring the space available. On the whole a brief planning is required. First chose a perfect place for building a bar, the place must be with good environment. You can have lot of space in garage, will you prefer your bar there? No not all, find a place that can be entertained in. The space can also be beneath the stair case, as it is a good place to be entertained in. once the space is fixed, measure the place available, it will decide what type of bar can be built there. If the space is limited, then a mini bar will be more appropriable. If there is a large space, then you can go for a medium sized bar. Once these things are well noted, the construction plan can be produced. The construction plan will have several important things like, size of the place to serve, placing a sink, locating a mini fridge and blender, space for standing, area for sitting and the space for the glasses. The construction plans can be bought for a small amount of money. Once you come to know the plan, size of the bar you can start buying things according to your budget. Pine wood is mostly for constructing bar as they are of normal price and would last for a long period of time. Pay due care to the basement of the. If there are wiring and plumbing requirements, make sure that they are well finished and covered. Then prepare shelves and cabinets for storing bottles. The real look of the bar lies with the arrangement of the beverages in the cabinets. Attach the shelves and cabinets with good quality of screws; make sure that they are well fitted to the wall. Another important part of a bar is the top of it. There are two methods of top, one with a couple of layers combined with each other and the other is to do the same with boards. The boards must be strongly fixed. Once all these things are finished, polish the wood and color them if necessary. Make sure that the sharp edges of the woods are blunt for safety and good looks.